Second degree in Electrical Engineering at the Technion. 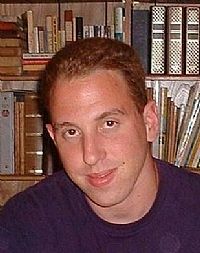 Participated in the Technion Excellence Program: October 1999 – July 2003. Oran included advanced courses and studied graduate courses as early as his second semester. Those courses enriched and helped him learn things at greater depth then provided by the undergraduate courses. became his mentor in M.sc). His mentor from the Program, Prof. Adam Shwartz from the EE faculty, inspired him to be as multi-disciplinary as possible as shown by the list of researches: one in software, one in mathematics and one in physics. Other than that, his second undergraduate project was in hardware design (Analog systems). This affects also his position today, which is multi-disciplinary. O. Richman and N. Shimkin, “Topological Uniqueness of the Nash Equilibrium for Atomic Selfish Routing.” Revised, Sept. 2005. To appear in Mathematics of Operations Research. Today (2012): Engineer in the IDF- serves in MAFAT which is part of the MOD. Recommendation to Program participants: ” 1. Use your mentor; it can help bring you to new heights. 2. Don’t be afraid to jump overboard, if you don’t try you don’t succeed”.